Thanks to Thaliruth for picking that up! 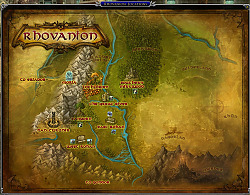 Contrary to the lotrointerface page, this is a full plugin and can be installed standalone. Follow the general plugin installation instructions to install or update your Travel Window installation (depends on your OS). Credits: This Plugin was originally developed by D.H1cks, and with his permission I have taken over the development of Travel Window starting with v16. Last edited by Lossensinome : 10-15-2018 at 08:57 AM. I copied all of my Travel Window plugin and options from my desktop to this notebook. Now the guide and return options appear correctly and the plugin works correctly. If anyone has a problem with the plugin not appearing after they add the guide and return to the IndexedDictionaryEn.lua I would be happy to mail them a copy of my IndexedDictionaryEn.lua which at least works for me. Just send me a pm here or e-mail atkiskhan at charter dot net. Last edited by Atkiskhan : 09-15-2018 at 02:51 PM. So I entered the Hunter locations text into that folder and it makes the icon for Travel window just disappear completely and I can't find a way to reopen it, but If I delete those texts then it's back. Is that just me? Last edited by Atkiskhan : 09-14-2018 at 10:44 PM. Will the author support the plugin? Sorry but I don't have a Warden so I don't have the ID for muster skill. I'm a warden. Where can I find the ID for muster skill? "Muster in Dale" is 0x7004D73A. 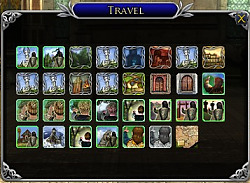 As an unrepentant technosaur who is rubbish with computers but adept with an abacus, updating my Hunters' travel plugins is always a daunting task. Having just acquired the Guide to Dale skill, I updated to what appears to be the most recent version of the plugin (dated 01-08-18), but it doesn't seem to have the Guide to Dale skill added. Is there a more recent update I'm just missing? The most recent travel skill in the version I downloaded today is Guide to Udun Foothold in Mordor.